This is a super easy recipe I learned in culinary school. Make tons and freeze for later. Enjoy!! Put a large sauce pot on medium-high heat, add olive oil once hot. Let the olive oil heat up for a few seconds and add the onions, garlic, Roma tomatoes, bay leaves, oregano, and chili flakes. 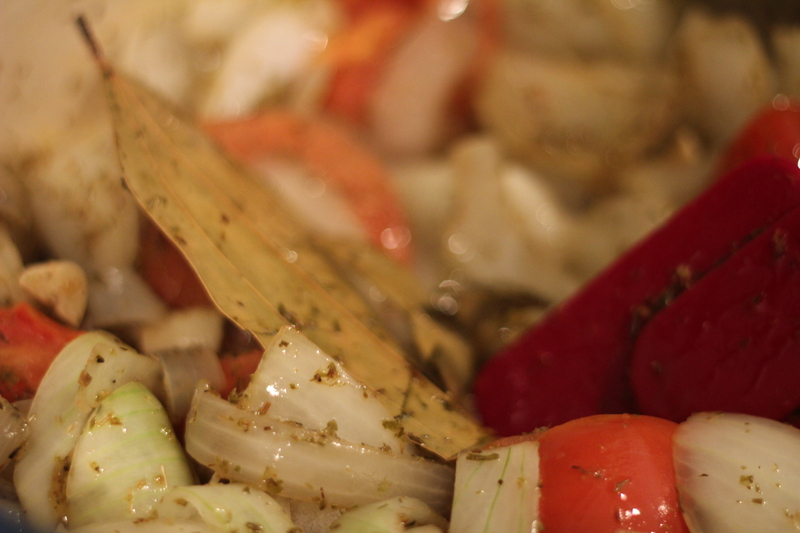 Turn the heat down a bit and sweat the onions until they start to brown, about 10 minutes. Turn up the heat to medium-high/high and add the wine. Cook off the alcohol and reduce the wine, about 2-3 minutes. 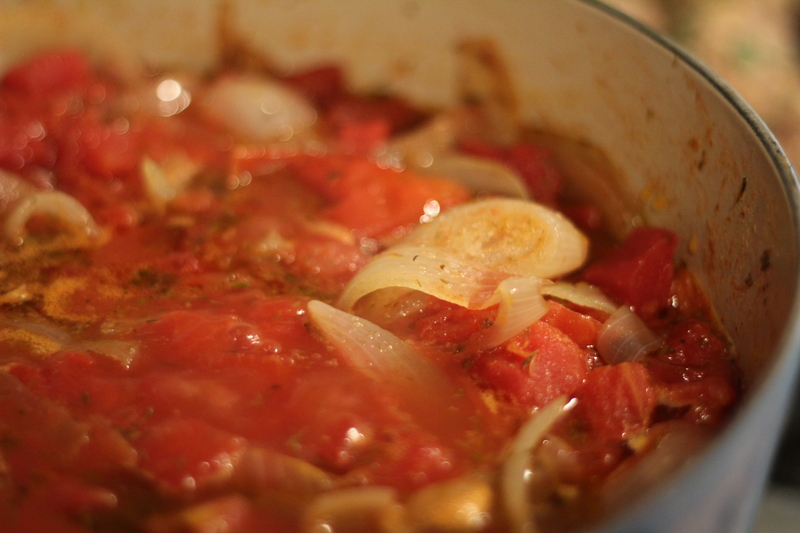 Add the canned tomatoes and simmer for about 1 hour, you can drizzle a bit more olive oil during the cooking if you want. 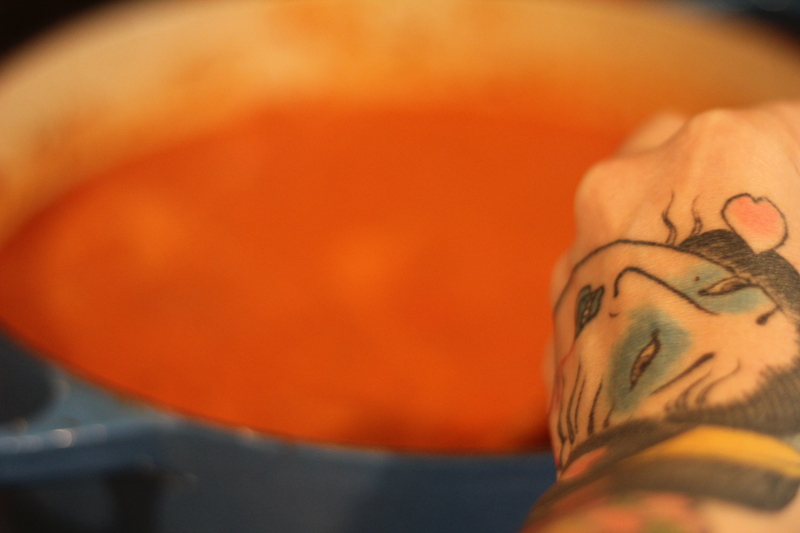 When the sauce begins to thicken, turn off the heat, remove the bay leaves and take the hand blender and puree the sauce. 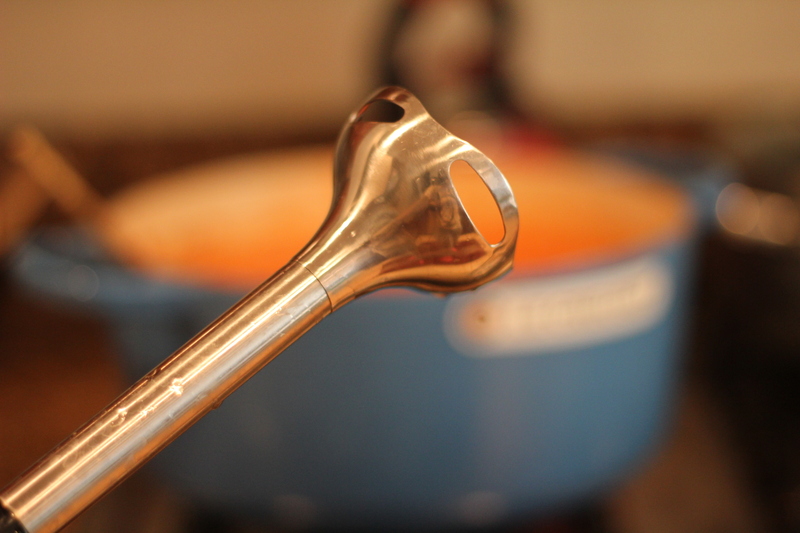 If you do not have a hand blender, you can put it in a regular blender. Freeze what you will not use for the rest of this recipe! 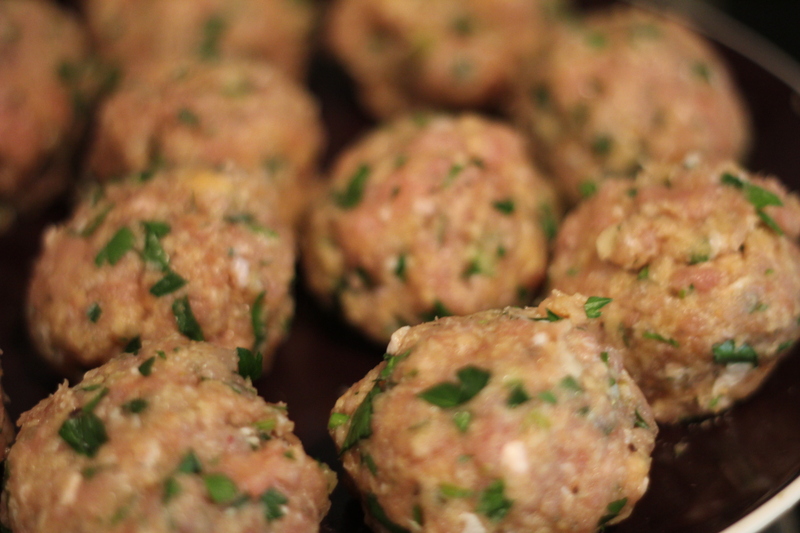 Mix all ingredients, divide into 12 parts and form all into balls. Set on a plate. Next take a medium saucepan and heat up the olive oil over high heat. 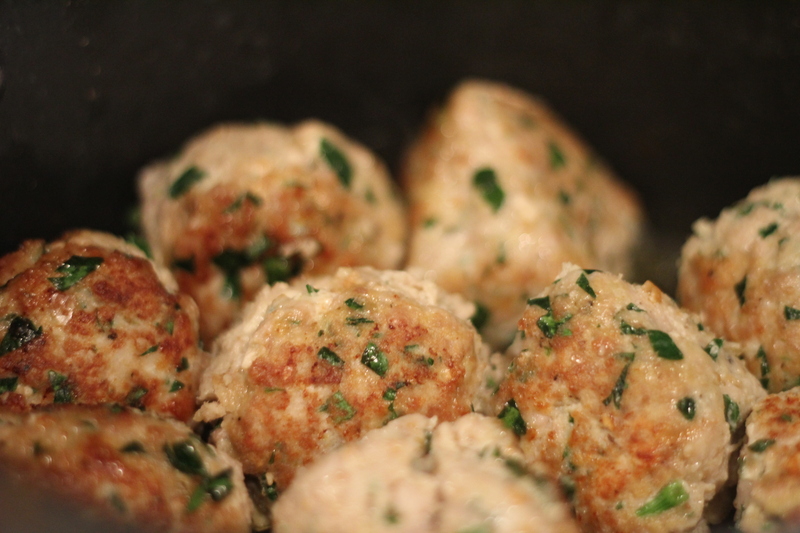 When the oil is heated, place the twelve meatballs in the pan and brown all sides of each one. 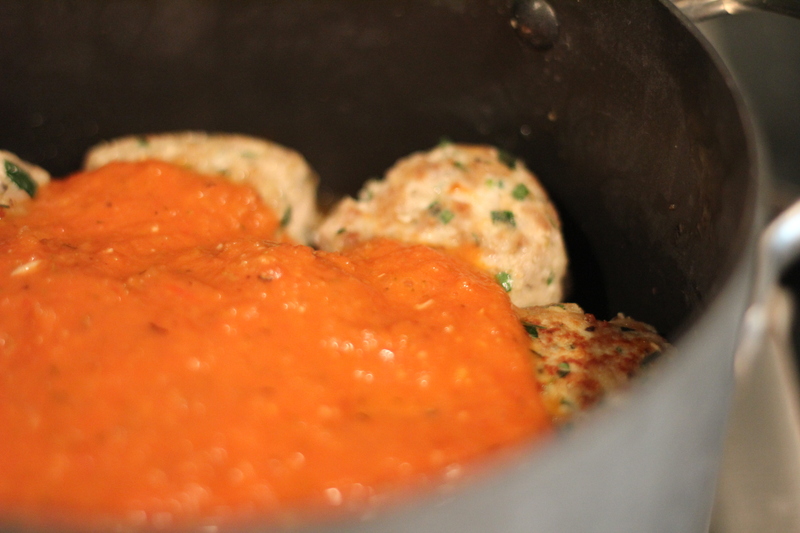 Pour the marinara sauce over the meatballs until covered and bring to a simmer. 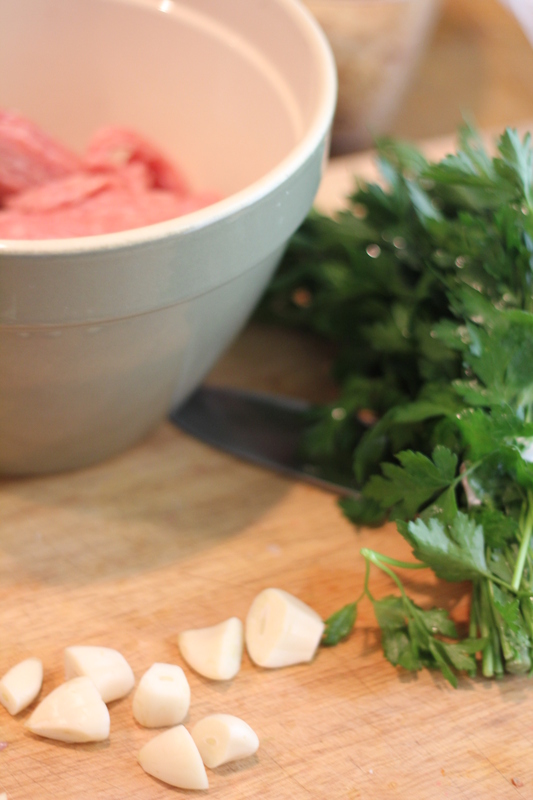 Turn the heat to low and simmer meatballs for 30-40 minutes. Serve with anything or eat alone! Thanks for reading knivesandneedlesblog.com and have a great Thursday!